Welcome to Oak & Lily! 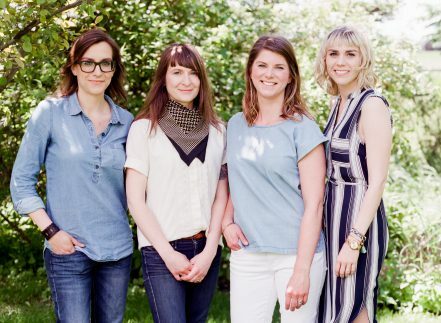 Oak & Lily is Winnipeg’s finest flower shop located in beautiful River Heights. We are passionate about flowers and curate a selection of the best blooms available, offering seasonal and locally grown stems whenever possible. Each arrangement is thoughtfully and intentionally created to express personal emotions and individual sentiments for every relationship and occasion. Our aesthetic focuses on using natural and garden style blooms in loose and organically arranged designs. Each arrangement includes a keepsake vase and every hand tied bouquet is made using our favourite flowers such as English garden roses, wildflowers, forest ferns, and lush foliage. With over 15 years of experience our designers have learned from internationally known florists and have had work featured on the floral and wedding industries’ top blogs. The inviting shop on Corydon Avenue has a beautiful display of giftware and paper goods to complement any floral gift as well as a lush selection of potted plants. All the paper products in the shop are produced by local or independent designers who design, print, fold, package and ship (or deliver!) the products themselves. Our friendly and talented staff will help you make the perfect selection and take care of your order’s every detail, including city-wide delivery. Ever since owner, Tatiana Penner, planted her first garden as a little girl she fell in love with flowers. 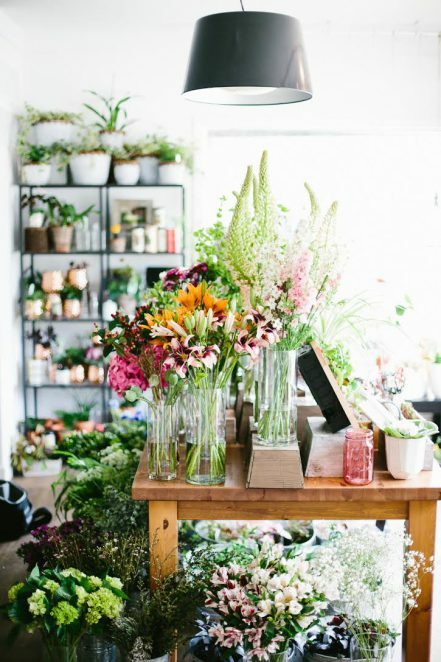 After working her first job in a local greenhouse and flower shop she dreamed of having a shop of her own that invited everyone to come in, smell the flowers, and become as passionate about them as she is. The name Oak & Lily was chosen to represent the shop’s products and design aesthetics, rustic and pretty, strong and soft. Lilies are also Tatiana’s grandmother’s favourite flowers and she wanted to honour the lady whose own passion for flowers first inspired her love for all things flowery. Flowers have the ability to transform the spaces you live in and express the ethereal beauty in the world. They remind us to slow down and appreciate the special moments and people in our lives. We invite you to stop in and smell the flowers! Or call us to place an order for delivery or make an appointment to discuss and dream about flowers for your special event.